I am so pleased to share a series of photos from a friend and customer of mine, Amber. She purchased my stock of chunky grey alpaca on Thursday and has already created a stunning crocheted cowl. It has suddenly gotten chilly here in Ohio, so she was pleased to wear it this morning. Amber is a keeper of bees and maker of body products. 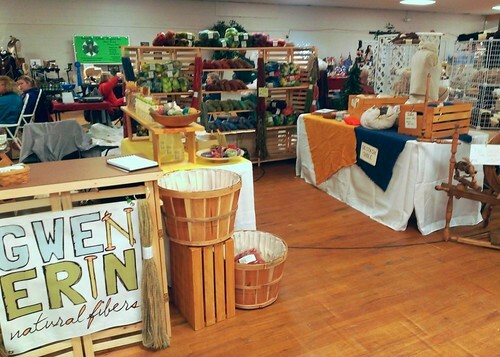 You can find her luscious goods online at the Square Market and in her Etsy shop. Buy them live at the B&O Night Market every Thursday through September. Find out more about her by reading her blog or browsing her Instagram photos. Other people are making things with my fibers too! Check out Jamie’s Chunky Yet Funky Mittens & Hat. She bought several Fantasy Batts at Indie Knit & Spin, created a fun yarn and then knitted this wonderful set. The hat is a great example of what to do when you may not have quite enough yarn for an entire project. 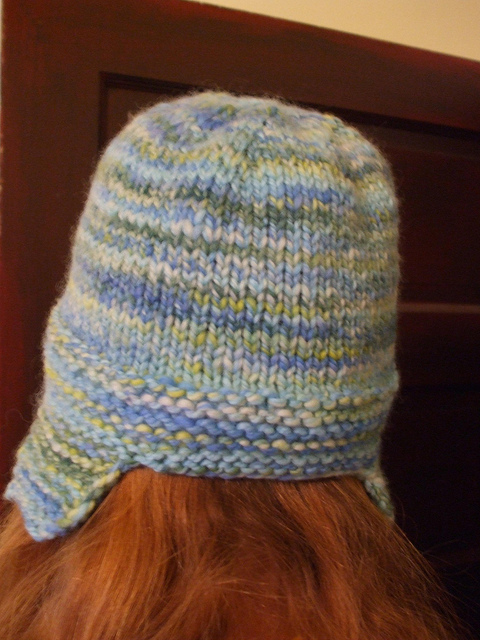 She used the remaining handspun yarn for the brim, but found another complimentary yarn for the body. Great job and thank you for sharing! Read all about her project on her blog. P.S. This is the FIRST project I have seen made with the Fantasy Batts! 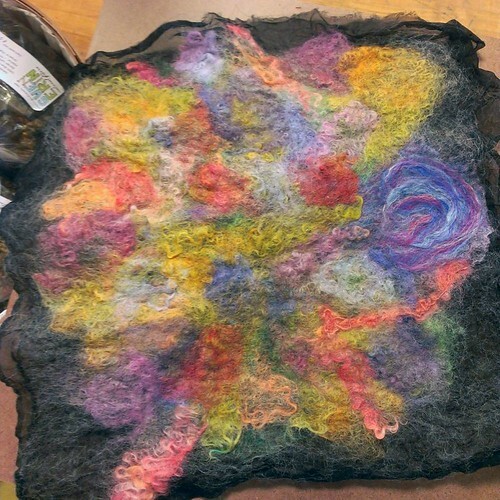 Marty, a member of the spinning group, just shared a picture of this wonderful little bag she spun and knitted from some of my handdyed Lincoln roving. Doesn’t she do beautiful work? Thank you, Marty! 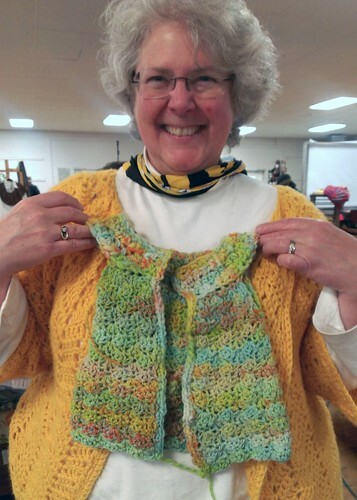 One of my customers from the Pgh Knit & Crochet Festival has already created something with the yarn that she bought. Emily purchased a skein of 2-ply Falkland called Cascading and knitted Thorpe by Kirsten Kapur. Check out her project details and additional photos on Ravelry. I didn’t get any photos of this yarn before taking it to the show, but it looks great knitted up. I can’t tell you how exciting it is for me to see my yarns in use. Thanks for sharing, Emily! Also, my yarn brand is now connected to my Ravelry profile. Next time you use one of my yarns or fibers in a project, you will find it in the database. Check it out here! I had a bit of trouble setting it up – wasn’t sure how to categorize things. Let me know if you have any suggestions for improvement.